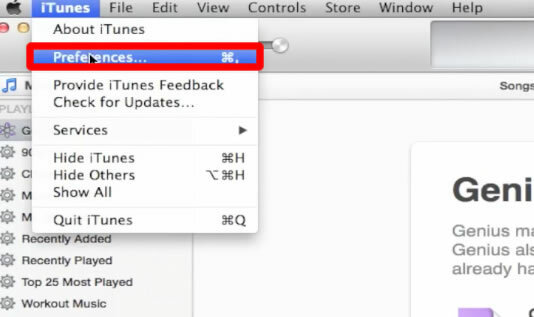 After you click preferences you will see the sharing tab located in the top navigation bar. This is where we will be able to adjust various sharing settings. You have the option to share your entire library, or just a few playlists. You also have the option of requiring others to enter a password before accessing your media.